LeBron tells Lakers coach Walton: I´m always fresh! 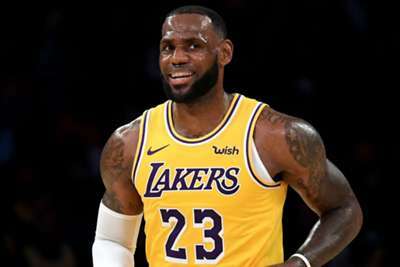 LeBron James is not ready to give up any minutes on the court, despite entering his 16th NBA season as the Los Angeles Lakers open against the Portland Trail Blazers. The four-time NBA MVP is to make his competitive Lakers debut on Thursday, but LA coach Luke Walton has already spoken of limiting James' minute in order to keep him "fresh" for the duration of his four-year contract. James revealed that this is a common issue, the 33-year-old telling reporters ahead of the clash with the Trail Blazers that coaches have not listened to his protests. "I'm always fresh," James said in Portland. "All my coaches want to figure out a way of how to lessen my minutes. I keep telling them I'm strong enough to play most minutes but they won't listen to me. It's OK. I like it." James led the league in minutes last season, averaging 36.9 per game with the Cleveland Cavaliers, but he will keep working in order to bring a championship to LA. "It's just my goal. It's always been my goal, maybe the last 10 or 11 years, where I felt like it's championships," James said. "I want to win championships and putting my mind into that and thinking about it. I think when you have championship habits, you have championship thoughts, and things come into fruition. "Obviously there's only one champion at the end of the road, and you can't dictate wins and losses, things of that nature. But you can approach every day like a champion. "And if you do that, you put yourself in a position to be successful - either individually or as a team, or whatever the case is."